Mezzo soprano Janna Vettergren, director Joshua Sofaer and soprano Hannah Holgersson having fun! 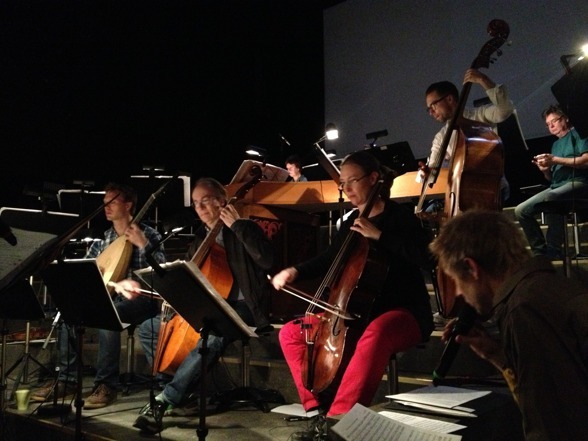 The first week at Folkoperan is done. So much fun in few days! 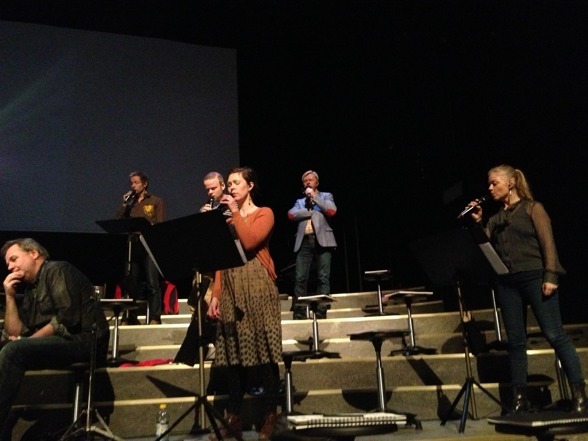 Great rehearsals combined with lovely colleagues! I'm really looking forward to present this emotional and strong performance, as well as our hard work, to the audience in about a week from now! Most welcome!! For schedule and tickets, please click HERE! The Real Group during stage rehearsal! Chorus master (and beloved husband!) 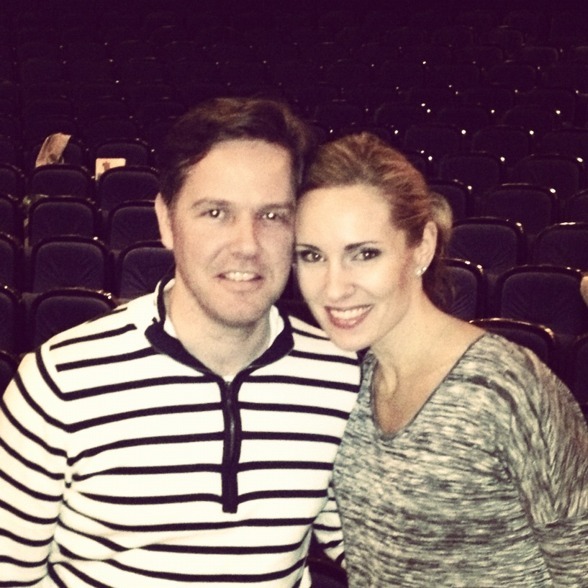 Christoffer Holgersson and me after long rehearsal this evening! 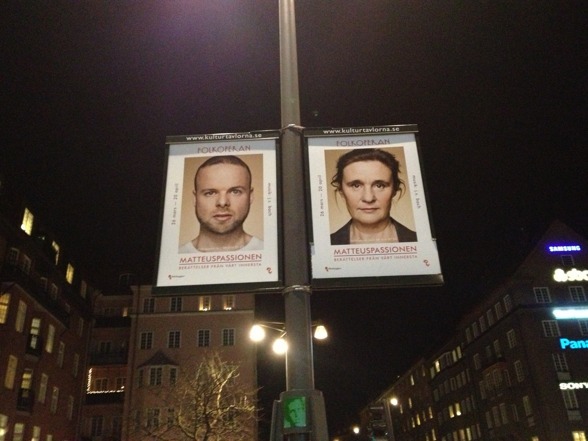 Posters of the upcoming St Matthew Passion seen everywhere!